As one of the most exciting and innovative scientific achievements to date, laser technology is being utilized throughout the health care community. Dr. Sohn uses one of the newest lasers to treat sun-damaged skin, facial wrinkles and scars in a procedure called laser skin resurfacing. The word “laser” is an acronym, which stands for Light Amplification by the Stimulated Emission of Radiation. A surgical laser, such as the CO2 laser, is a beam of light capable of removing unwanted tissue, such as scarred, lined, wrinkled and otherwise imperfect skin. The laser vaporizes skin cells by emitting bursts of heat that are absorbed by water in these cells. Laser light penetrates to a very precise, controlled depth, making the procedure safe and predictable, while reducing the risk of scarring or pigmentation problems. Laser skin resurfacing is bloodless, and is performed right here in our office under local or topical anesthesia. As a result of this treatment, you can achieve a more youthful looking skin. The laser is used to reduce wrinkles, acne scars and other minor skin imperfections, especially around the mouth and eyes. It can improve sun-damaged and acne scarred skin problems that often cause concern to both men and women. Prior to surgery, Dr. Sohn will discuss the goals for facial improvement. After determining the most appropriate procedure to use, we will fully describe the procedure, what results to expect and the costs. The skin is usually pretreated prior to surgery to improve the healing time. A local anesthetic is given to ensure that you are comfortable throughout the procedure. The area is cleansed and draped. Dr. Sohn directs the laser beam toward your skin imperfections. The laser quickly and accurately vaporizes the outermost layers of skin just four or five cells in thickness or less. In most cases, only one treatment is needed. The initial redness fades in a few weeks to a light pink, which can be camouflaged with cosmetics. The discoloration usually disappears in one month. The goal of laser resurfacing is to enhance facial appearance. Expectations by the patient must be realistic and results should be anticipated as improvements rather than total corrections. Results of the surgery depend on many factors such as the size, shape and location of the imperfection and the patient’s heredity, age and general skin condition. Oral Surgeon Dr. Sohn of North Texas Center for Oral & Maxillofacial Surgery provides Oral Surgery procedures including Wisdom Teeth Removal, Dental Implants, Impacted Canines, Jaw Surgery, Facial Trauma, Teeth-in-an-hour, TMJ Disorders, Sleep Apnea and Cleft Lip & Palate. 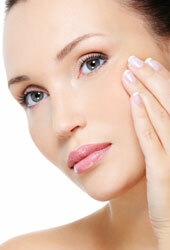 Dr. Sohn also provides cosmetic procedures & skin care.